Do you have the grit to hunt down and take down Jimmy Menendez and his boys? Evergreen Heights, 1935. The city is in the grip of its biggest crime wave since... well, the last one. As bungling detective Max Stone, explore a criminal underworld teeming with mobsters, criminals, crooks, thugs, thieves, bankers and lawyers, and more puns than you ever thought possible. Do you have the grit to hunt down and take down Jimmy Menendez and his boys, in Crime Solitaire 2: The Smoking Gun? 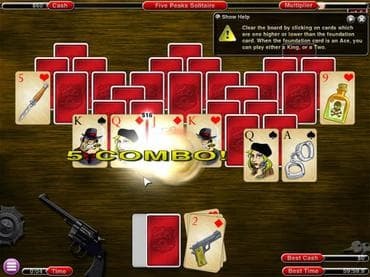 If you have questions about Crime Solitaire 2 game, please contact us using this form.